Carrots, potatoes, and rutabagas…Oh My! Don’t “Turnip” your nose at these wonderful root vegetables as they have many gardening and culinary uses. The Currituck County Center of N.C. 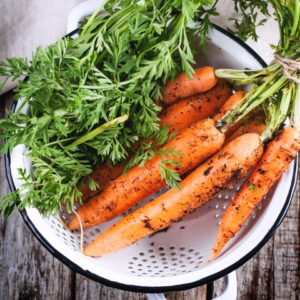 Cooperative Extension sure hasn’t and will be hosting a class all about root vegetables on Friday, February 9th from 10 a.m. to 1 p.m. at the Currituck County Center. The center is located at 120 Community Way, Barco, NC 27917. Participants will learn about the multiple functions of plant roots, tips on growing these vegetables in your backyard gardens, ways to preserve them, and finally how to prepare them in several delicious and healthy dishes. After all this learning, we are bound to be hungry, so before the class ends participants will create a delicious lunch for themselves using root vegetables in every dish from drinks to desserts. This isn’t the mashed turnips your Grandma made you eat, and you will be surprise at their culinary versatility. So don’t stay “rooted” to the spot! Sign-up today as space is limited! Pre-registration is required including your class fee of $15. You can register online at http://go.ncsu.edu/rootvegetables or by contacting the office at 252-232-2261. Payment must be received within 5 business days of registering and can be made in person at the N.C. Cooperative Extension, Currituck County Center or by mailing a check made payable to “Currituck County” to 120 Community Way, Barco, NC 27917.